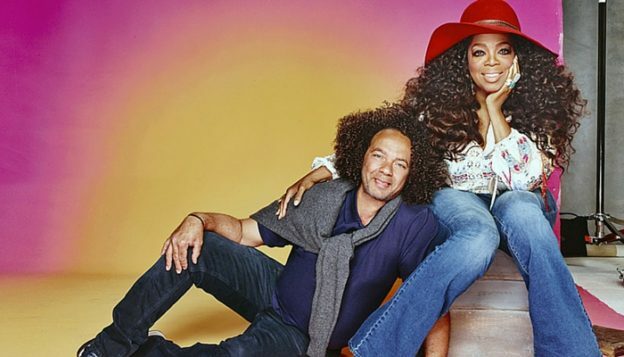 Yes, you read the title correctly…Oprah’s long time hairstylist of 30 years (longer than she’s been with Stedman), Andre Walker is transitioning from being a day-to-day hairstylist to focusing more time on endorsing his brand and products. But as Andre says farewell, enter Nicole Mangrum, Celebrity Stylist, International Educator, and Owner of Nicole Mangrum Hair Artistry (formerly Freedom Salon) in Chicago. Mangrum has transformed the looks of philanthropist Juanita Jordan, Grammy-Award winning recording artists Michelle Williams and Kelly Rolland, formerly of Destiny’s Child, Macy Grey, En Vogue, gospel sensations Mary Mary, American Idol’s Fantasia, America’s Next Top Model Bre Scullark, Actress Sanaa Lathan, Good Morning America’s Mellody Hobson, President Obama’s Senior Advisor Valerie Jarrett and First Lady, Michelle Obama. Mangrum’s work has appeared on the covers of several magazines, including, but not limited to, Ebony, Essence, Harper’s Bizarre, In Style, Vibe, Modern Salon, Black Hair’s Sophisticate, Michigan Avenue and Jet. Her candor and straight talk about hair is now regularly featured in Black Hair Sophisticates and Salon SENSE magazines. Follow Nicole on Instagram and Twitter. Click below to get your Oprah Magazine subscription today!